New Coach Mike Rhoades has a daunting challenge in front of him this season with 10 new players in Ram uniforms on opening night, this Friday, Nov. 10. The Virginia Commonwealth University men's basketball program has enjoyed 11 consecutive seasons with at least 20 wins. More important, it has made seven consecutive postseason appearances in the NCAA’s national championship tournament. Top those numbers off with 99 consecutive sell-outs at the Siegel Center, and it adds up to lofty expectations. 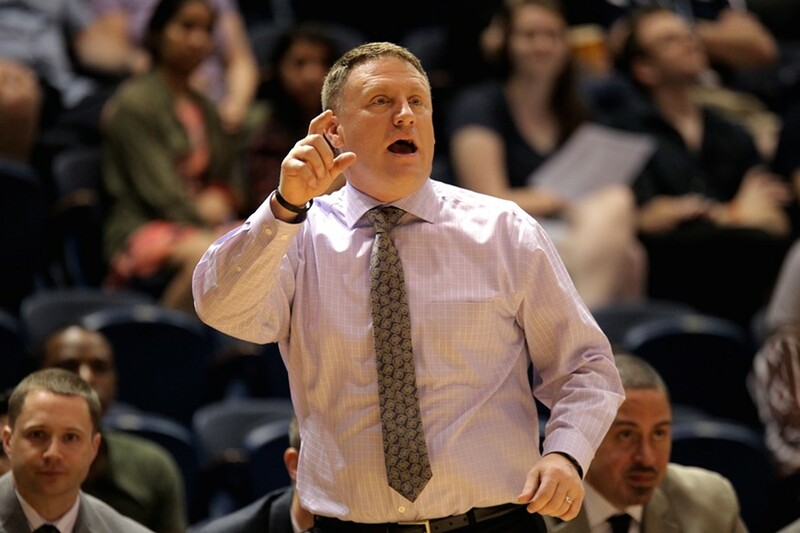 The Rams’ new head coach, Mike Rhoades, 45, doesn't need to be told that Rams fans have developed high expectations. That, in spite of the number 10 factor, which is how many players on the roster who'll be playing their first game in a VCU uniform at the Nov. 10 season opener: Grambling State at home at 7 p.m. on MASN. Before Rhoades' three-year stint as head coach at Rice University (2014-17), he spent five years as an assistant on former Rams head coach Shaka Smart's bench. So, Rhoades also knows loyal Rams fans want to see a fast tempo, and he has already promised to deliver exactly that. The likely starting five for that first tilt includes the four men who played for Rhoades' predecessor, Will Wade, last season. They are: 6-foot-7-inch senior Justin Tillman, a preseason all-conference pick, 6-foot-1-inch senior point guard Jonathan Williams, 6-foot-5-inch sophomore De'Riante Jenkins, and 6-foot-4-inch sophomore Malik Crowfield. The fifth man will probably be 6-foot-7-inch Khris Lane, a senior transfer with one season of eligibility. At a recent news conference, Rhoades said he plans to play 10 or 11 men in his regular rotation. The most likely sixth man could be 6-foot-6-inch sophomore Issac Vann. He red-shirted last season, meaning he practiced with the team but didn't play in games. He looks like a scorer. It appears the next four off the bench will be (in alphabetical order): freshman Lewis Djonkam, freshman Tyler Maye, freshman Marcus Santos-Silva, sophomore transfer Mike'l Simms. Of those four, look for Maye and Simms to develop into significant contributors. The Atlantic-10 Conference's beat reporters rated VCU as No. 4 in their preseason poll. With a new head coach on hand, plus so many new players being counted on to make important contributions, that prediction says something about media respect for the VCU program. Looking ahead, the two biggest home games of VCU's non-conference schedule are: Virginia on Nov. 17 at 4 p.m. (CBSSN) and Texas on Dec. 5 at 7 p.m. (ESPN2). No doubt, with that Longhorns game on national television, the return of Shaka Smart to Broad St. will draw lots of attention. As senior leaders, Tillman and Williams need to become more steady and dependable for the Rams to reach their goals this season. Judging from its two exhibition games, the team's full-court press and its half-court defense need to improve, a lot, but that's to be expected. Most players coming out of high school are better on offense than defense. That will change.